Tonight’s show is something different – a 5-course degustation of food, wine, beer, and competitive chatter between Denham D’Silva from Barossa Valley Brewing and Emily Hay from Turkey Flat Wines. The podcast will share snippets of the pre-course descriptions of the beverages and the food followed by the voting, then we get to sit down with Denham for a longer chat about making beer in the Barossa. Denham and Emily also put their local credentials on the line, competing in IS IT NEWS. Max Martin finds a possible silver lining from a tragic exercise accident. Allison Russell from History SA joins us for the Adelaide Visa Council (originally recorded during her stint in episode 87 but we’ve had no time for it until this week). 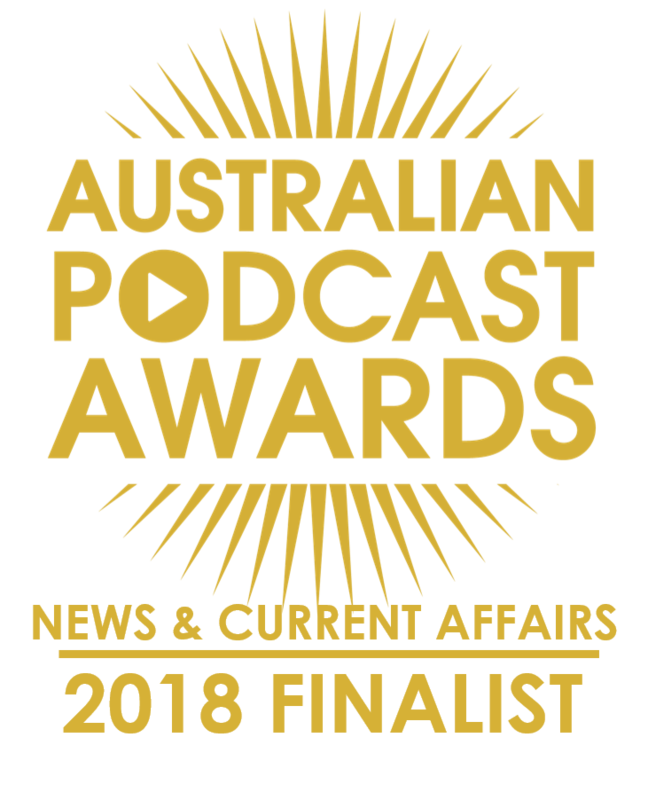 Andy Zaltzmann, comedian, satirist and co-star of The Bugle Podcast has been a guest on this show during his recent Adelaide tour but I just found some snippets of his Aussie show in which he does a pun run using Australian cities and his creative way of using Adelaide just needed to be in the show to round off his generosity of being part of our podcast. Brett Monten joins us for this week’s song: a sneak listen to Derek by Fergus Maximus’ CD due to be launched later in May. 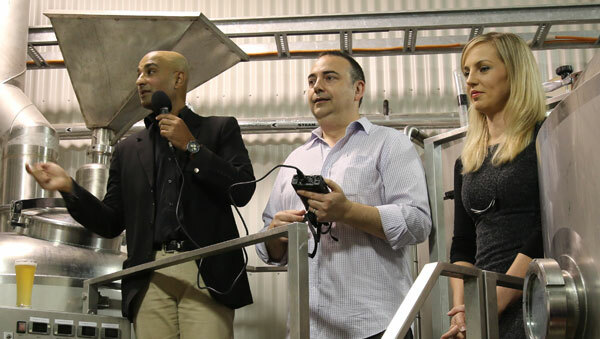 Denham D’Silva from Barossa Valley Brewing and Emily Hay from Turkey Flat Wines go head to head, leading the Saturday night crowd through a true, South Australian feast of food, wine, beer and fun. Our chat with the man behind Barossa Valley Brewing. Steve puts our guests to the test with their local Barossa Valley knowledge. Andy’s Australian city pun run. Tim Stidston @burntim Sydney on a Sunday is like Adelaide on any given night. Pretty damn boring. Visa rejected. Maddie ‏@earthtomaddie I’ve come to the conclusion that clubbing in Adelaide is super fkn boring. No case to answer. adelaide jerks ‏@adelaidejerks @thelisaskye maybe some material on Adelaide being boring would give it that comedic edge. Visa granted. Brett Monten introduces Fergus Maximus‘ song, Derek.